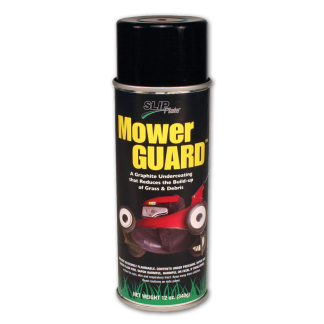 MowerGUARD™ the first graphite based, dry film coating designed to reduce maintenance costs and improve lawn mower performance, was brought to the market in 2006. This product has been tested on some golf courses in the Chicagoland area with good success in reducing the buildup of wet grass clippings. 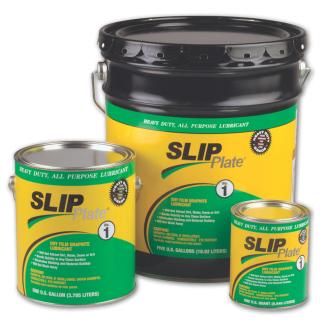 Through this testing, SLIP Plate® engineers have begun working on the next generation coating, MowerGUARD™ HD, to increase the coating life, and more effectively prevent buildup on heavily used mowing equipment. Testing on the home consumer level throughout North America has shown that the dry film technology that MowerGUARD™ is based on, works to keep lawn mowers working properly, along with reducing the amount of time a home owner has to spend unclogging the large build up under the mower. A brief water rinse is all that is required to clean the mower deck when protected with MowerGUARD™. 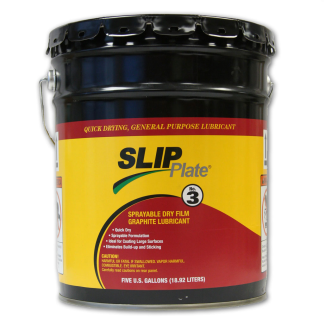 SLIP Plate® No.1 and SLIP Plate® No. 3 products also have been used on skid steer buckets, dump bins, trailers, shovels, rakes, trash cans, range ball retriever equipment and other applications where build up, sticking, and sliding friction are issues.